The Common Core Learning Standards place great emphasis on a student's ability to use text-based evidence in written answers. 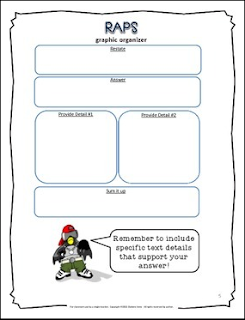 "RAPS" is a teacher-tested method that provides an easy way for students to recall the organization and requirements of a text-based answer. Best yet, it can be used in ALL content areas! *I have even included an example of an exemplary response for the sample question. 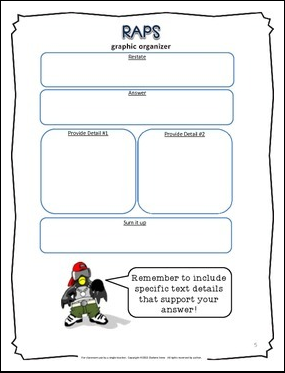 Try this out, and before you know it students will read a question and know immediately if RAPS is required! Follow me to find out about new products!